Inside the box, You’ll get the Smart Lamp, Charger and User manual. The Smart Lamp comes with Double standard stainless steel with plastic and silicon material on top. The outer material is made up of plastic while the portion where lamp bend made up of silicon. The lamp size is 180 mm x 464 mm x 436 mm and weight around 1.2Kg. The lamp is quite big and heavy as well, so make you’ve enough space on your table. 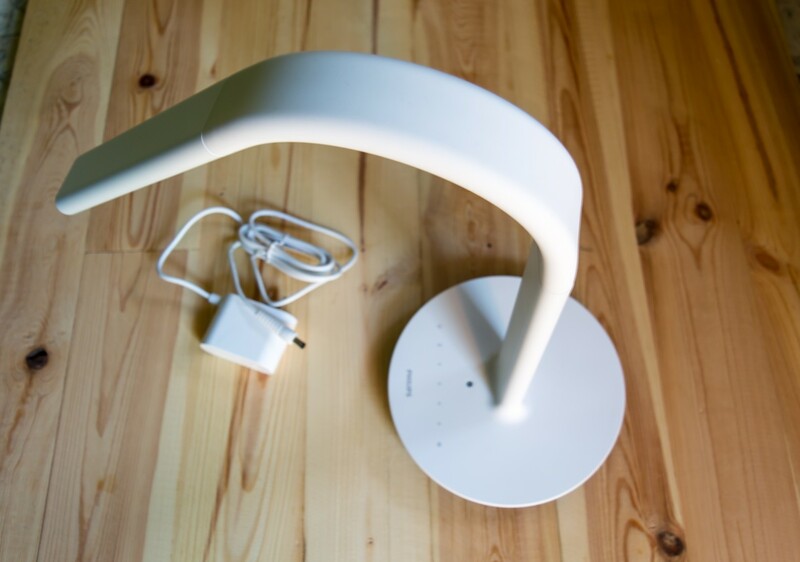 Xiaomi Philips Eyecare Smart lamp 2 comes with dual light source. Both the light source is located at an adjacent side to provide maximum brightness side in all directions. The LED light produces a luminance of up to 1200 Lux @ 40 cm distance. This is pretty good for reading. 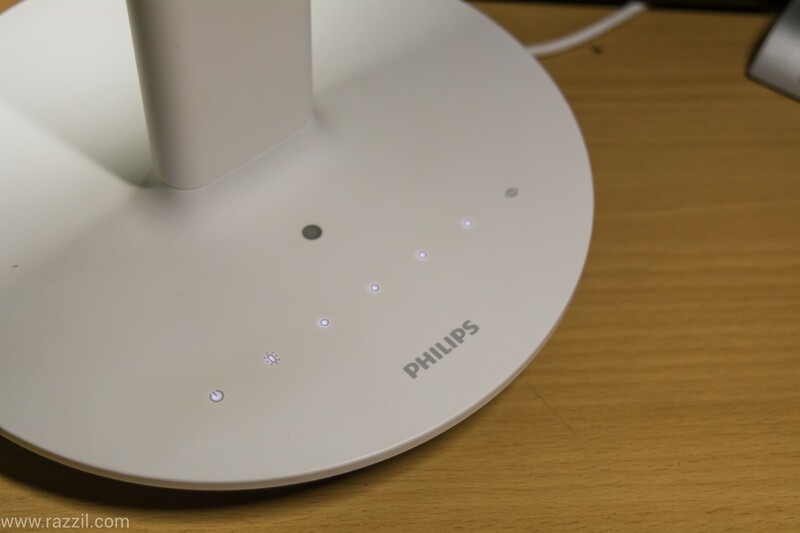 The functionality of Xiaomi Philips Eyecare Smart Lamp 2 is very simple., just plug the charger into the bottom slot at the back of the lamp and put it on the power supply and the lamp is ready to use. There are two ways you can control the lighting brightness: From App & Manually with touch keys. From the touch keys, you can turn off the complete light, increase/decrease the brightness, turn on ambient lighting and turn on/off secondary light. Within the app, you can do all the tasks mentioned above, plus you can set the lighting mode to Teen, Reading or for workstation and set the timer to automatically turn off the lamp. The app also allows for pairing it with Existing Mi Home Automation system. After that, you can create your own tasks based on the triggered conditions. 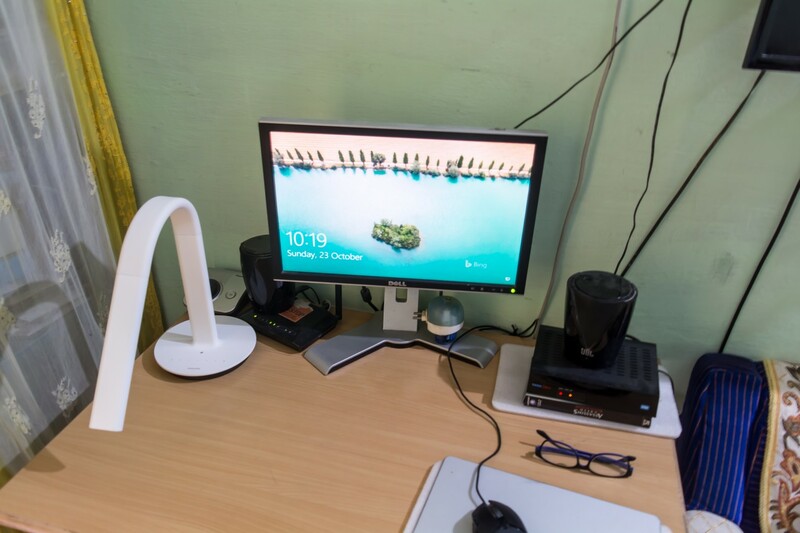 The lamp comes with inbuilt Wi-Fi, you’ve to first configure the lamp Wi-Fi with your network. 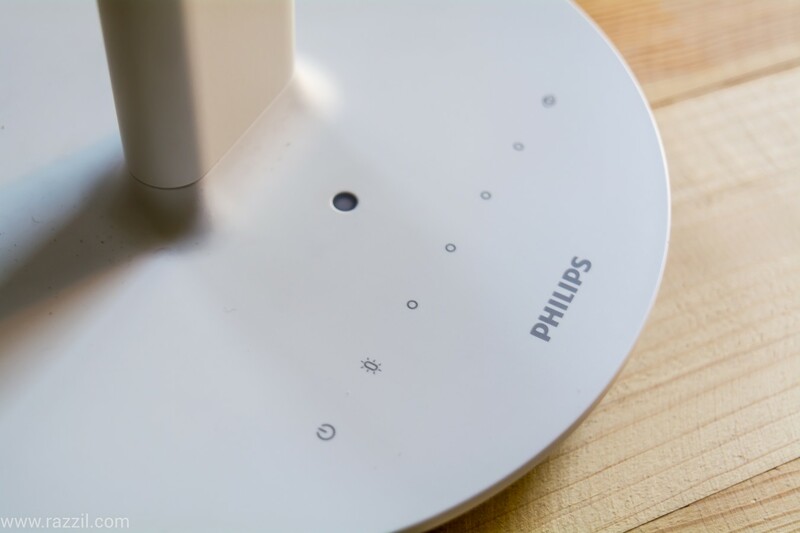 The Xiaomi Table Lamp is powered by Philips Eyecare Algorithm. The lamp has a second generation high precision ambient light sensor, With Philips gamma function dimming algorithm, the lamp brightness can be adjusted adaptively based on the lighting conditions. 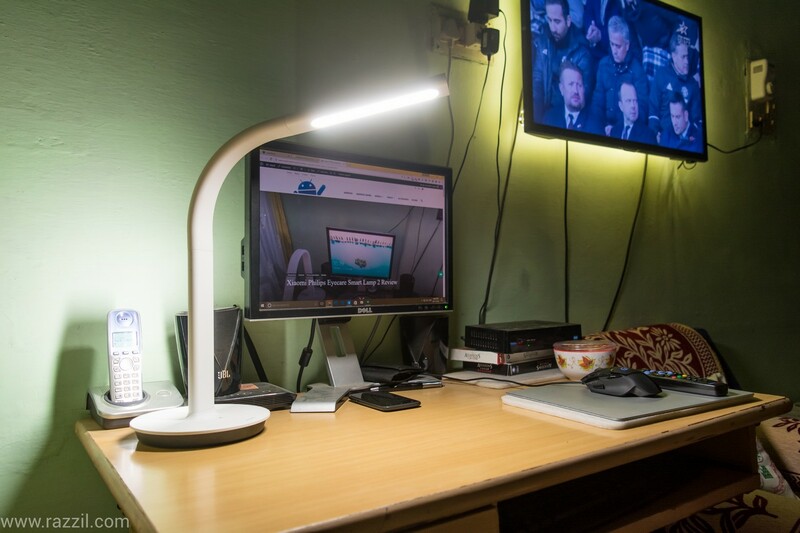 The Xiaomi Philips Eyecare Smart Lamp 2 is brilliant table lamp for the price it offered. It has a quality hardware, dual light source, Philips eyecare algorithm, ambient light sensor, flexible head and integration with home automation. The Xiaomi Philips Eyecare Smart Lamp 2 is available for Purchase at GearBest.com for around $52 to $55. The price of the lamp may look bit expensive but believe me, it’s worth every penny as kind of features it has and the superior build quality. I want to disable WiFi module. Can I do this ? I changed the local settings to China in Mi Home app and that works well now. – iPhone SE (IOS 10.2): Mi Home app doesn’t recognize this lamp, unable to set the lamp on this (IOS) platform. – Android 6.0.1 (Samsung Galaxy J5 2016): Mi home app doesn’t manage this lamp, they sees the device as powered off. I haven’t found solution yet. Hi, Please try to change the local to China. Only after that it’ll work.